In 2008, Arsenal sold Gilberto Silva, one of their finest defensive midfielders and the same year they bought Francis Coquelin as a 15 year old from the lower leagues of France. Ever since then they have never been able to find a suitable replacement, despite Wenger buying a host of players none of them were able to match the level demanded by Arsenal. Following Coquelin’s years of development, he started a lot of games for the reserves and then went out on loan to Lorient, SC Freiburg and most recently Charlton Athletic. He never really made a huge impact at Arsenal and hardly got any first team action. In fact Arsenal were on the verge of selling of him last January but following injuries to Flamini and Arteta, Wenger decided to call him to fill the substitute bench. After his return, he made a few substitute appearances and on December 28th he got his first start for Arsenal in almost 3 years and his break through into the first team has been one of the major reasons in Arsenal’s turnaround this season. After that match he has started every game for Arsenal and has been a revelation this season. In a way, those injuries to Arteta and Flamini were a blessing in disguise because if they had not got injured, Coquelin would have probably been sold off by now and Arsenal would have never discovered his true potential. Since his inclusion into the first team, Arsenal have become a better team. Wenger in fact has been content with his team sitting back and hitting the opposition on the counter,a strategy which worked perfectly against City. For the last 8 years, Arsenal have not had a proper defensive midfielder and they always had to make do with central midfielder to cover that position. Players like Alexander Song,Mikel Arteta had played for Arsenal in that position but they were all attack minded. Song’s struggles at Barcelona are in fact due to his tendency to go for the killer ball more than often. Coquelin is pure defensive midfielder who holds his position,breaks down the play and allows players ahead of him to do the attacking. The two main players who have benefited from this were Santi Cazorla and Aaron Ramsey. Cazorla usually has been played on the wings by Wenger. But with the arrival of Sanchez and Welbeck,Cazorla chances of getting into the team had come down. But with the security of Coquelin in midfield,Wenger can afford to play someone as attacking as Cazorla in central midfield. Even Ramsey with Coquelin in the side can afford to play in advanced areas without worrying much about defending. Even Jack Wilshere when he comes back will for the first time find himself playing in a midfield which contains a top level enforcer. 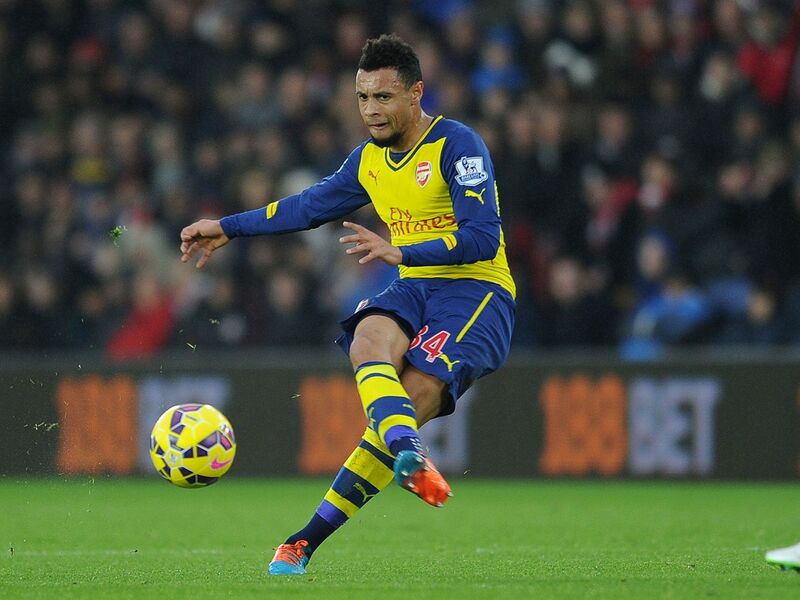 Since Coquelin played his first match for Arsenal this season, they have lost only two matches out of 16. This fine run of form has helped lift Arsenal to 3rd in the Premier League and has also taken them a step closer in retaining their FA Cup. If you look at the statistics, Coquelin has topped all the defensive charts. He has also outperformed Matic, who has been impressive this season for the league leaders Chelsea. Statically speaking, Coquelin is currently one of the best defensive midfielders in the Premier League right now and whether he can hold onto to his place in the future is not certain as Arsenal are still keeping tabs on Lars Bender, Schneiderlin and Christoph Kramer. Arsene Wenger did say that Coquelin could be a long term solution to Arsenal’s defensive issues and he backed his statement by offering the Frenchman a new long term contract. This shows that he has faith in him and wants him at the club for a long time. With all the transfer rumours linking Arsenal to a number of defensive midfielder, no one knows what the future holds for Coquelin. But, for the time being he needs to concentrate on his game and he has to continue to play the way he is now if he wants to be Arsenals long term solution.